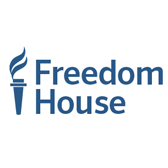 Freedom House promotes the spread of freedom and democracy around the world through research, advocacy, and programs that support frontline activists. We are a leader in identifying threats to freedom through our highly regarded analytic reports, including Freedom in the World, Freedom of the Press, Freedom on the Net, and Nations in Transit. With 7 field offices and two U.S. offices, we support the right of every individual to be free. The Finance and Administrative Assistant will play a supporting role in office finance and administrative functions, including logistics. This is a nonexempt position. Position holder must obtain written authorization from supervisor before working in excess of 40 hours in a work-week. Manage day-to-day office operations, including supplies, travel logistics, and scheduling. Assist the Chief of Party and Finance Officer with the office support systems including negotiations with vendors and service providers in the most cost effective manner. Assist technical staff with the logistics associated with program activities. Review program payment requests, and sub-grant reports to ensure compliance with funder regulations and Freedom House policies and procedures. Assist with financial reporting as needed, including organizing office finances in coordination with the Finance Officer. Support other staff members as needed. Bachelor’s degree or equivalent experience required. Degree in accounting, finance, or business administration with emphasis in accounting strongly desired. Minimum 2 years of experience in a fast-paced office setting desired. Proficiency in Microsoft Word, Outlook, and Excel. Comfort learning other software as needed. Ability to manage multiple, simultaneous assignments, set priorities, and work independently. Ability to utilize necessary office equipment and computers. We invite qualified candidates to submit a resume and cover letter with salary history and desired salary. Candidate cover letters should specifically address how their previous experience relates to the duties and qualifications listed above. Only candidates who respond to these as well as the salary requirements will be considered for the position. Only candidates who have been selected for an interview will be contacted.